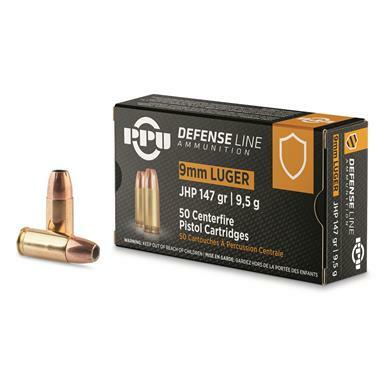 PPU Defensive Line, 9mm, JHP, 147 Grain, 50 Rounds is rated 4.7 out of 5 by 17. Rated 4 out of 5 by Dale from Looks good have not fired yet Product looks to be as advertised. Haven't fired / tested any yet. Generally speaking I have not had any issues with PPU ammo performance. Rated 5 out of 5 by Dave from Works as expected I have only shot 10 rounds so far and they all worked just fine. Rated 4 out of 5 by sharpshooter from Good quality ammo for the price. The only reason I can't give 5 stars is I have not tested the expansion of the bullet myself. Rated 5 out of 5 by tjs1 from Great ammo and a good price Feeds well and reasonably accurate, for combat sights. Will be getting more. 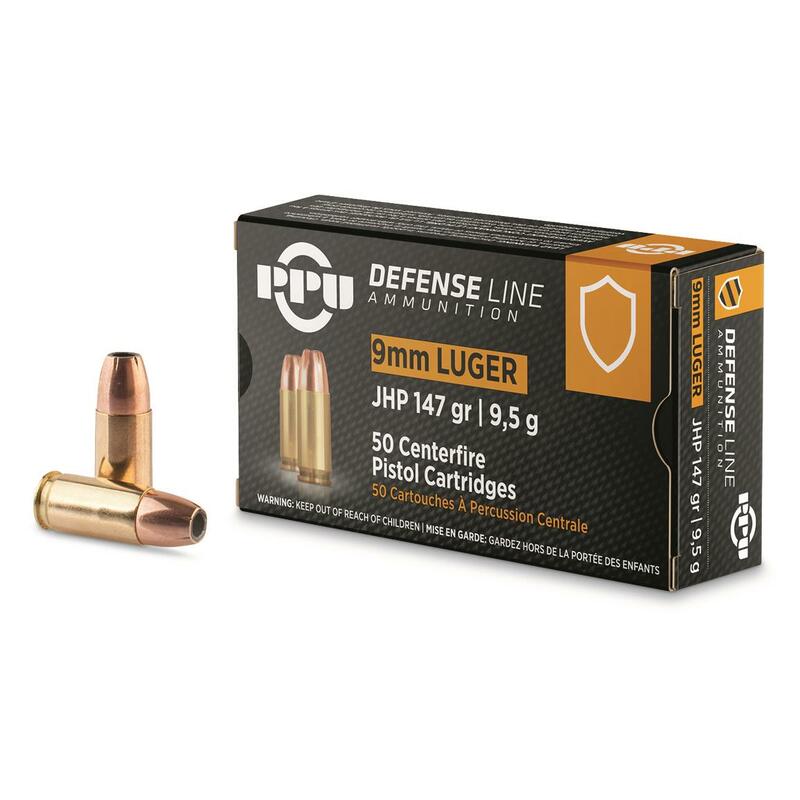 Rated 5 out of 5 by Bushwhacker from Good Quality Ammo This ammo feeds well and shoots well. Feed your 9mm what it craves.